Research degrees in South Africa are assessed by a written thesis or dissertation. This EPE material leads you in an interactive way through various steps of examination process. 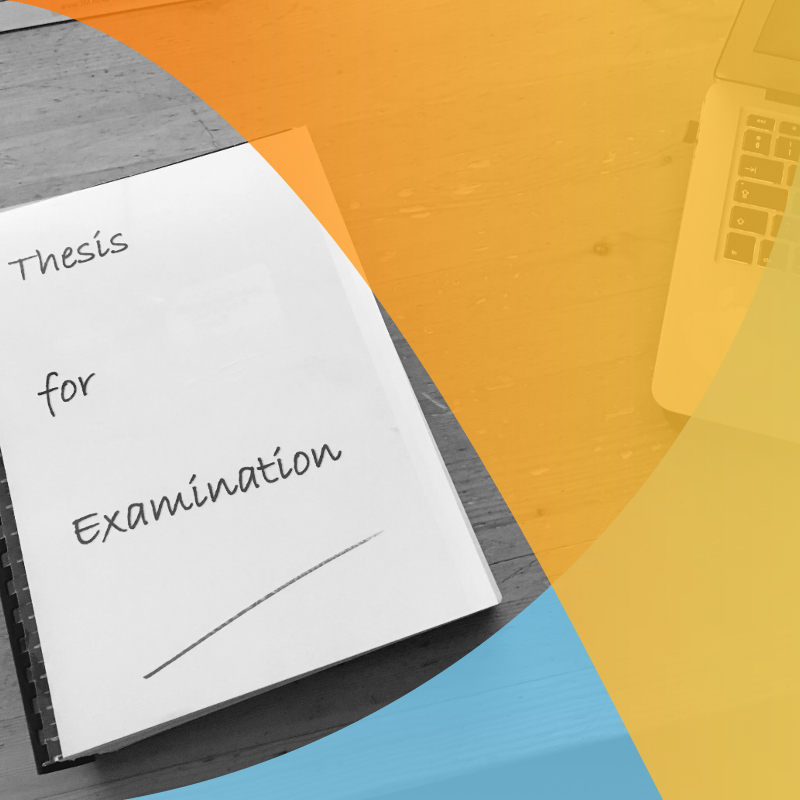 It stimulates – through a varied range of interactive exercises, resource texts, videos and real life examples – both supervisors and graduate students to think about their tasks and roles in the examinations process. This material aims to contribute to creating a fair and safe examination environment. 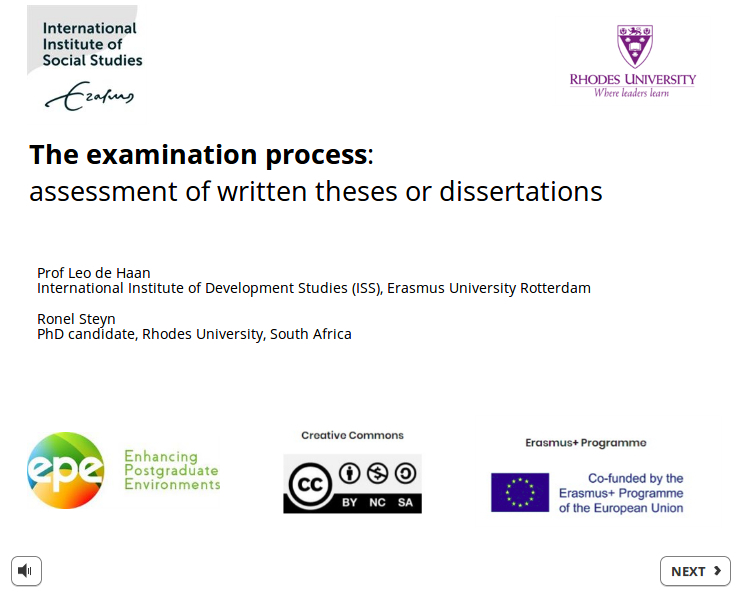 The first chapter is about the examination process in South Africa and deals with the general features of the examination process; the national standards for master’s and PhD and an example of the examination process at one of the universities in South Africa. The second chapter is about choosing the examiners. It leads you through various considerations when choosing examiners and it pays special attention whether or not to involve students in that choice. The third chapter is about how to examine a research degree. It reviews opposing approaches to examination. Subsequently it focuses on the key element of examination, i.e. the examination report, and how to think about communicating the outcome, compiling the report, the content of the report itself and how to provide meaningful feedback. The fourth chapter deals with orals (vivas), a phenomenon not very common in South African universities but the standard elsewhere in the world academic. This chapter first explains the phenomenon and then leads you through two important considerations, i.e. how to create a safe setting and how prepare for the oral. Developed by Ms Ronel Steyn (PhD candidate, Rhodes University, South Africa) and Professor Leo de Haan (International Institute of Social Studies (ISS) of Erasmus University Rotterdam, Netherlands). Thanks to Colette Gerards (VU), Cristina Sathyamala (ISS), Daniel Steyn (AFDA), Henk van den Heuvel (VU), Hennie Lötter (UJ), Joanna Baskott (ISS), Johan Hattingh (SU), Liezel Frick (SU), Mandy Hlengwa (RU), Melanie Petersen (SU), Rachel Kurian (ISS), Sanne Huesken (ISS), Sioux McKenna (RU), Tristen Yaylor (UJ) and Wil Hout (ISS). Postgraduate supervisors and postgraduate students.